Channel your inner Edwardian gentleman or lady by learning to shoot - or improving your technique - at one of the historic castles below which offer shoot days. The grand old seat of the Dukes of Rutland has become extremely popular with teams of guns from all over the world in recent years. And you can see why. They can get the full baronial treatment from arrival to departure. This really is living and shooting like a lord for a day with the highest level of sport and hospitality. The home of the Earl and Countess of Carnarvon has become rather famous recently for its role in Downton Abbey. But the very luckiest people are the ones who get to shoot on this extraordinary estate. The fifth Earl of Carnarvon was famous for his interest in Egyptology and the discovery of King Tutankhamun’s tomb in The Valley of the Kings in 1922, so there is no shortage of historical and contemporary interest at one of England’s finest houses. It also hosts several charity clay shoots each year, in aid of Starlight, which brightens the lives of seriously ill children and Great Ormond Street Hospital. The recently completely rebuilt home of Lady Fairhaven, located near Newmarket, hosts an excellent shoot under the watchful eyes of headkeeper Andy James. The first records for the tower date from 1219, and in 1424 there was a substantial rebuilding of the castle by Richard de Beauchamp, the Earl of Warwick. Queen Elizabeth I stayed at the castle in 1578 during her state procession across Cambridgeshire. The building continued to develop, and by the 1660s was the largest country house in Cambridgeshire. However it subsequently fell into disrepair and has only now been rebuilt. And these days you can visit and enjoy a superb day of game shooting, enjoying shoot lunches in the castle. Owned and run by Charles Williams, Caerhays has a well-deserved reputation as one of the finest shoots in Cornwall. The Castle Drive spreads out from the castle down the lawns towards the English Channel to the south and, like all the drives here, it delivers a steady stream of excellent pheasants in the finest surroundings. Elsewhere on the estate, the castle garden hosts the largest collection of magnolias in England. If you are going to travel to Cornwall for your game shooting then Caerhays should definitely be on your agenda. Spanning 90,000 stunning acres, the natural beauty of the Queensberry Estate in south-west Scotland offers a unique setting for the discerning shot and has a reputation for showing the highest partridges you are ever likely to see. 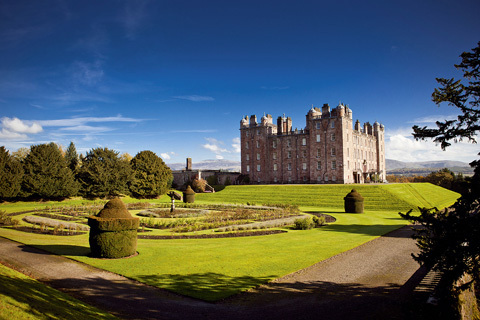 The focal point is Drumlanrig Castle, which is one of the homes of the Duke of Buccleuch. The Castle has been the family seat for more than three centuries, but has only recently been made available for shoot parties and offers great comfort and style. The estate starts shooting driven partridges from early September and pheasants from late October, providing mixed days that become pure pheasant sessions as the season goes on. This is as exciting and varied sport as you’ll get anywhere in the world. The home of the Duke and Duchess of Northumberland has had the almost unbeatable honour of being Hogwarts School in the extraordinarily successful Harry Potter films over the past decade. And there is a touch of magic about the game shooting here, too. Although there would have to be because the Duke, otherwise known as Ralph Percy, and his younger brother Lord James Percy are well known as two of the finest shots in the land. 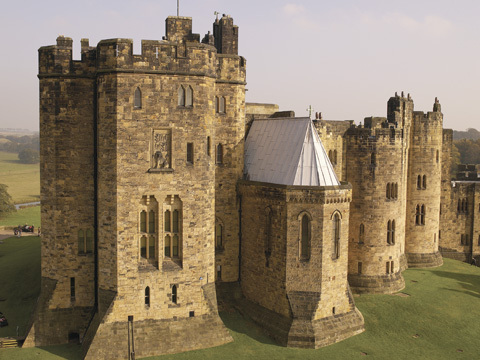 It is the second largest inhabited castle in England and also famous for the Alnwick Garden, a major attraction since a huge investment 10 years ago. Edward Walters at EJ Churchill is the sporting agent for bookings. 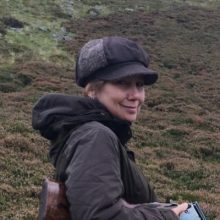 The shoot is set among 3,000 acres of stunning Mid Wales countryside, just west of Welshpool and in the grounds of Powis Castle, where the steep valleys and tree-lined pastures are ideally suited to game shooting. The estate offers excellent high, testing pheasant shooting and can provide single or double-gun days. There is a choice of over 50 named drives including Kings, High Stand, Woodcock Bank and Pen-y-foel, enabling days to be tailored to all abilities and test even the most accomplished. The bag for a team of six to 10 guns can be varied from 150 to 300-plus birds per day according to the time of the season. Mulgrave Castle is the ancestral seat of the Marquis of Normanby and is situated on the North Yorkshire coast a few miles north of Whitby. Extending to over 9000 acres of shooting, the estate is often talked about in the hushed tones of those wanting to keep a secret, but who just can’t quite keep it to themselves. What makes the estate so special is the sheer variety of terrain – enchanting ancient woodland with super deep, Devon-like valleys, parkland designed by Rempton, and perhaps most spectacular of all, partridge drives off the towering sea cliffs onto the beach. 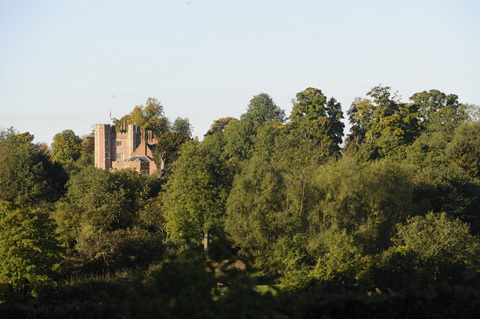 The castle is the seat of the Duke of Norfolk and dates back to the 11th century. It’s storybook stunning and set in 40 acres of grounds and gardens. The parkland at Arundel in autumn is breathtaking. Mature deciduous trees in glorious colours of russets, golds, crimsons, earthy browns and yellows provide the perfect backdrop. For more information about game shooting at Arundel Park, contact the Norfolk Estate on 01903 883400.